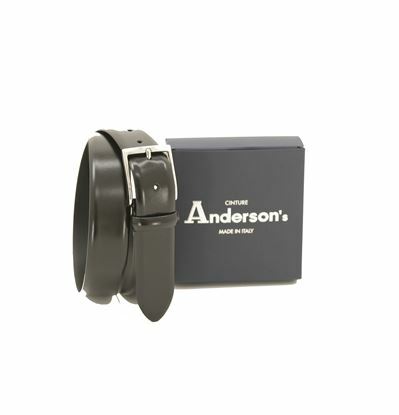 Anderson's Leather Goods was founded in Parma more than 50 years ago as a family company dedicated to the production of leather belts and accessories. The business history of this brand is similar to that of many small and medium-sized Italian companies in the field of fashion that have contributed over the years to spreading the world's unique style that characterizes Made in Italy productions. Anderson's belts respect the tradition of Italian handcrafted leather goods, combined with modern production techniques. The manufacturing takes place in Italy, in the Parma factory, where, while the environment and work is respected, every detail is taken care of and checked to obtain an exceptional quality and without defects. 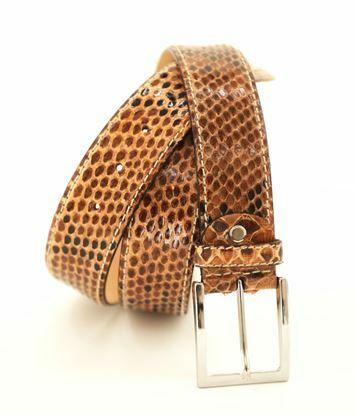 All of the company's productions, including Anderson's Belt collection start from the choice of leathers. This is of great importance to achieve the high quality standards that the company has set itself as an objective. This part of the production, due to its importance, is entrusted to the experience of Mr. Valenti, owner of Anderson's, who makes this choice in first person among the best tanneries on the market. Another feature that contributes to raising the quality standard of Anderson's belts is the buckle that is made of a single piece in chromium-plated brass casting without nickel and hand-polished in Italy; the buckle made in this way is hypoallergenic and very sturdy, able to maintain an aspect that is always new over time. 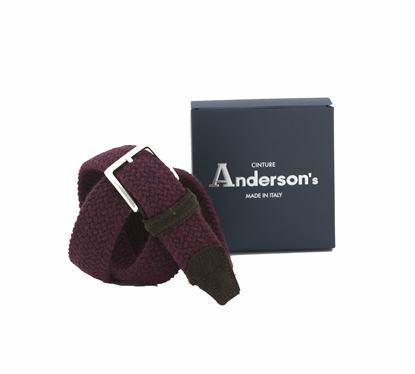 Anderson's belts are produced with various leathers and materials, to offer a wide choice of products suitable for any occasion. 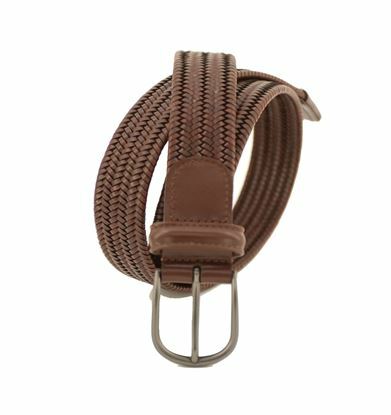 The offer ranges from the classic Anderson leather belts to the more sporty, elastic, solid color and multi-color belts. Attention to detail during production and attention to the choice of leathers gives Anderson's belt superior quality and exceptional durability. The dedication that Anderson's puts in the creation of its products has allowed it to be recognized as one of the best brands in the industry and to be present in the best stores around the world.